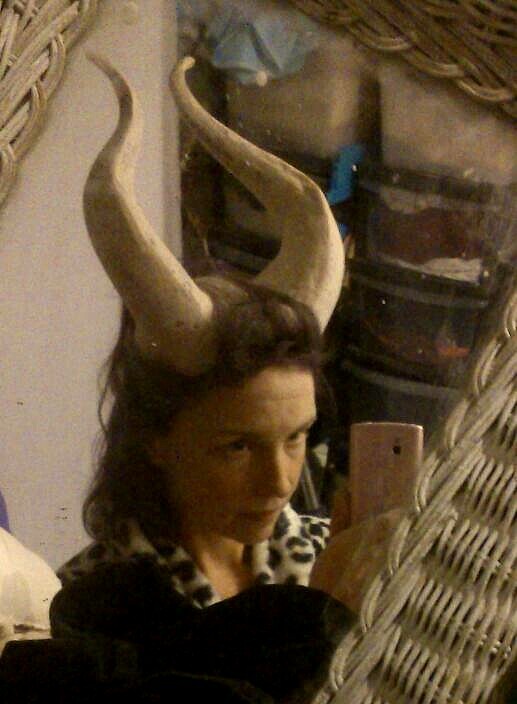 Started cutting the horns down to shape and to be able to be worn. 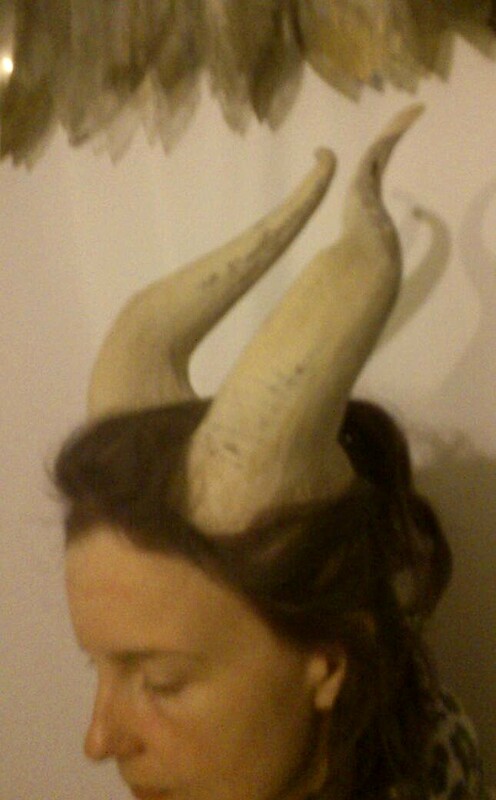 I still need to cut a tiny sliver from the front and slightly more at the back and then vents in the top. 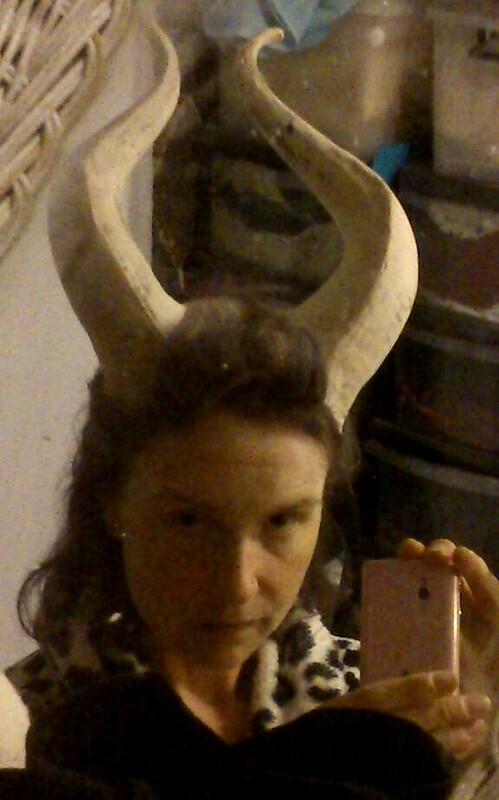 The left horn base is too heavy, but this is pronounced more in the photos due the the angle of the camera and mirror. And me being shortsighted and unable to see what I was doing. 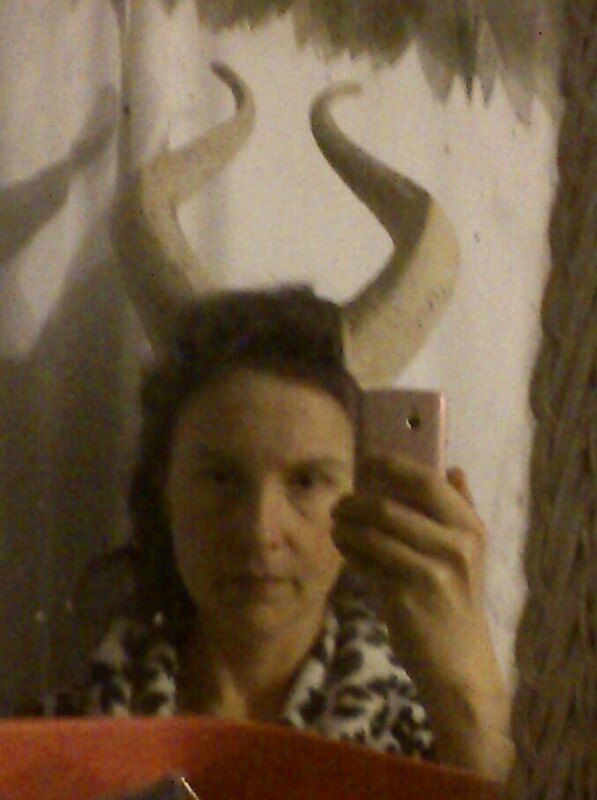 The horns hold on just with hair, though my hair is now far too short to pin over the top. I need a lace front wig for this “natural” look.